More than 500 vessels carrying Chinese flags could soon dock west of Uruguay’s capital Montevideo after Shandong BaoMa Fisheries Group received authorisation to construct a duty-free zone comprising a port, a shipyard and a factory to process and freeze fish. The US$200-million project is to be installed on a 28-hectare plot in Punta Yeguas, a mostly rural area with a public park, angering local residents. Conservationists say the port threatens the South Atlantic’s marine ecosystem – an area already plagued by excessive and illegal fishing – by enabling vessels to prolong expeditions. 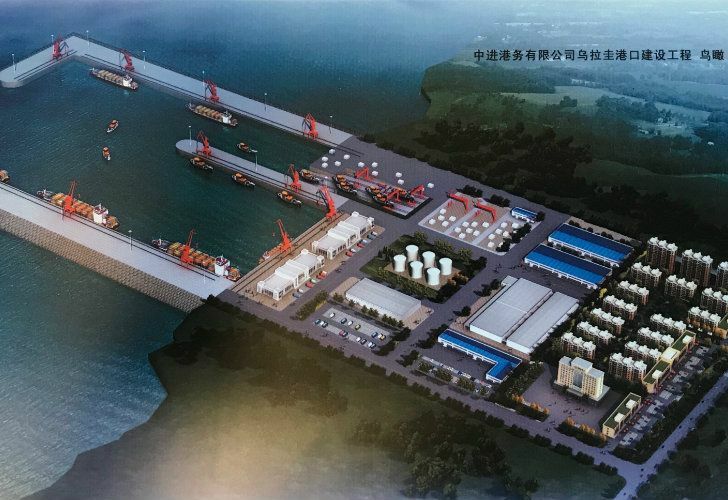 Port plans seen by Diálogo Chino show an 800-metre dock accommodating ships carrying up to 50,000 tonnes of cargo. As a free-trade zone, the area would permit vessels to operate outside the Uruguayan government’s control. International fishing fleets, many illegal and unregistered, regularly fish off the coasts of Uruguay and Argentina in search of large squid populations. The cephalopod is a key link in the food chain. Other fish, dolphins and albatrosses are frequent by-catch and their marine environment is impacted by the pollutants fishing boats discharge. Montevideo is the second most visited port in the world by vessels fishing illegally, according to reports from Oceanosanos and fellow NGO Oceana. It is also a high-risk location for fishermen themselves. Uruguay’s National Ports Administration (ANP) has recorded an average of one crew death per month on illegal boats since 2013. Jian Hongjun, president of Shandong BaoMa, presented the port project in Montevideo in December along with Uruguayan partner CSI Ingenieros. Yet in order for it to advance, they must first change the area’s registered land use from ‘rural’ to a port. Shandong BaoMa has around 4,000 employees and specialises in fishing, fishmeal processing and port terminal management. They have also ventured into building infrastructure for mining operations. Diálogo Chino contacted both Shandong BaoMa and CSI Ingenieros but did not receive a response. “It is a coastal area that is not productive. The closest thing you have is an irregular settlement of people and small farms,” Gabriel Otero, mayor of Montevideo’s Municipality A, where the project will be situated, said of the site. “The project will generate 300 jobs during the construction period and will further develop the area,” he added. The port will sit aside the Santa Catalina and Pajas Blancas neighbourhoods and the 113-hectare Punta Yeguas Public Park, which the Municipality of Montevideo recovered for public and recreational use in 2006. It contains some of the most beautiful beaches in the city. Local residents have begun organising in opposition to the project with the hope of stalling it. They have requested meetings with various government bodies to get more information and have stressed the social and environmental impacts the port would have. “We heard about all this through a news article, [it was] all done behind our backs,” said local resident Nieves Cancela. Artisanal fishermen are also concerned. Luis Soria, a local resident and fisherman, said his work has already been affected in recent years by illegal fishing and overfishing. He claimed the port will have further negative impacts on his work. “We will not be able to fish any more in the area. It will restrict sailing and we will not be able to get close. It’s a loss for us, we are giving part of our sovereignty to a country that is on the other side of the world. It doesn’t make sense,” he said. Shandong BaoMa’s decision to invest in Montevideo demonstrates the increasing diplomatic proximity between Uruguay and China. Since his inauguration in 2015, Uruguayan President Tabaré Vázquez has sought closer relations with the Asian country and hopes to sign a free trade agreement. In 2016, Vázquez and Chinese counterpart Xi Jinping signed a ‘strategic partnership’ agreement. In 2018, Uruguay became the first country in South American regional bloc Mercosur to ink an agreement under the banner of China’s Belt and Road Initiative (BRI), a major global connectivity plan. The accord could open the door for more investment in Uruguay. China was Uruguay’s main export destination last year, with sales exceeding US$2 billion (including from Free Trade Zones). On average, exports to the Chinese market increased 12 percent year-on-year between 2012 and 2017. Uruguayan exports consist mainly of products such as soy, wood, premium meat, wool, fish and milk. China sends Uruguay industrial manufactures, motor vehicles, chemical products and plastics, among other goods. Uruguay XXI, the country’s investment and export promotion agency offers tax incentives for investors in Uruguay such as Shandong BaoMa. Uruguay did not respond to Diálogo Chino’s request for comment. “We have the possibility of a deep-water port on the Atlantic, something that Argentina and Brazil cannot have. Brazil’s ports have capacity problems and Argentina’s cannot take in large ships. Montevideo has a lot of potential,” Rozman said. 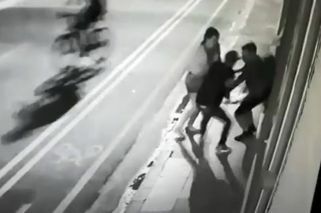 * This story first appeared on chinadialogue.net. It is reproduced with kind permission from the publishers. For more information, visit https://chinadialogue.net/.